Browse our member research groups to learn more about their work supporting lemur conservation and furthering our collective knowledge of Madagascar’s biodiversity. Groups are listed alphabetically. 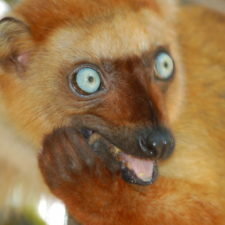 The Bristol Zoological Society is focused on research that advances our knowledge of the behaviour and ecology of threatened lemurs in the Sahamalaza region of Madagascar. Ultimately, our aim is to use this knowledge to inform conservation management plans and species assessments for species such as the blue-eyed black lemur, Sahamalaza sportive lemur, Sambirano mouse lemur, and black lemurs. The Behavioral Ecology and Sociobiology Unit has been operating a field station in Kirindy Forest/CNFEREF near Morondava since 1993. We are studying the behavior and ecology of 8 sympatric lemur species at Kirindy: Propithecus verreauxi, Eulemur rufifrons, Lepilemur ruficaudatus, Phaner pallescens, Cheirogaleus medius, Mirza coquereli, Microcebus murinus and Microcebus berthae. 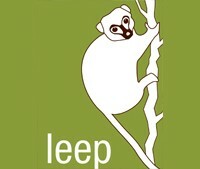 The Lemur Conservation Biology working group of the Institute of Zoology (TiHo Hanover) aims to increase understanding of the processes and mechanisms of adaptation and evolution of lemur; their work focuses on nocturnal lemurs in northwest Madagascar. 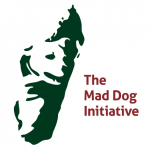 The Mad Dog Initiative is working to protect and conserve the biodiversity of Madagascar through a targeted feral and domestic dog spay/neuter, vaccination, removal, and adoption program. Our project consists of a number of collaborations among US, Canadian, and Malagasy researchers, students, and veterinarians. Since 2004, our team has been actively researching the intersection of environmental health and human health to understand the ways in which ecosystem transformation has downstream effects on human wellbeing. Most of our work has centered on estimating the role of bushmeat hunting in both decimating local wildlife populations and also influencing human nutrition and food security. 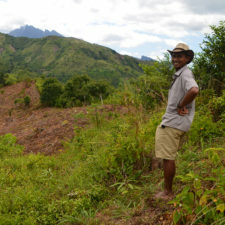 Mitchell Irwin’s research complements – and is facilitated by – Sadabe, an organization working in Madagascar. 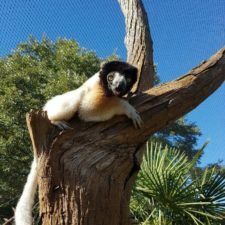 His research examines the ecology and behavior of lemurs in a range of habitat types (from highly disturbed fragments to relatively intact continuous forest) in Tsinjoarivo, eastern Madagascar, including work with the diademed sifaka, bamboo lemurs, and brown lemurs. 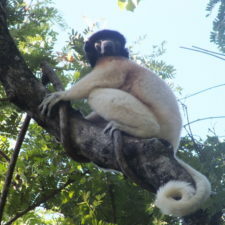 As part of the Lemur Conservation Action Plan, the Nocturnal Primate Research Group at Oxford Brookes University is among the leading groups in charge of developing research and conservation in the recently established protected area of Tsitongambarika (south-east corner of Madagascar). This area, where no systematic research has been conducted so far, is considered one of the Action Plan priorities and one of the last large expanses of lowland rainforest left in Madagascar. The Perry lab at Penn State studies lemur evolutionary ecology and the history of human-lemur interactions in Madagascar using genomic-based methods. We also have an ancient DNA lab for sequencing the complete mitochondrial and even nuclear genomes of the recently extinct, giant ‘subfossil’ lemurs. Several of our projects are led by graduate students at the University of Antananarivo. 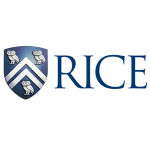 The research of the Dunham Tropical Ecology and Conservation Group at Rice University focuses on understanding population and community level consequences of lemurs to anthropogenic change and understanding the role of lemurs in the ecosystem and potential consequences of their loss. 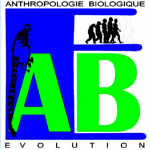 The Département de Paléontologie et d`Anthropologie Biologique (DPAB) at the University of Antananarivo’s main objectives are to provide training programs about primates, undertake research endeavors, and promote conservation efforts. DPAB is key to improving the abilities of Malagasy university students and helping them become leaders in the field of conservation. 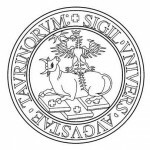 Department of Life Sciences and Systems Biology (DBIOS) at the University of Torino, Italy promotes research projects on biodiversity and capacity building in Madagascar and Comoros, at the individual, institutional and social levels. Our projects center on increasing awareness of biodiversity and developing initiatives that empower communities to increase control over their lives and take a leading role in conservation of local biodiversity. Tropical Research in Edge Effects (TREE) at the University of Toronto aims to determine how forest loss, forest fragmentation, and forest edges influence the lemur ecology in Madagascar. Most of our research focuses on the tropical dry forests in and around Ankarafantsika National Park.